Holiday China Tour is a quality service provider of Huangshan tour and huangshan travel in huangshan China, tour packages including huangshan hotels on huangshan mountain. 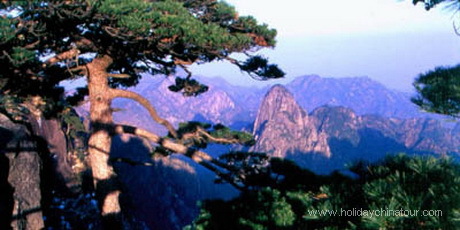 Our online Huangshan tour operators can customize Huangshan tours according to your travel plans. We also help you to plan budget Huangshan package tours that lead you to visit Mountain Huangshan, Tunxi Old Street, Hongcun Village and Xidi Village with private guide and vehicle. All our Huangshan tours can be tailor-made to meet your budget and needs. Enjoy the best of Yellow Mountain, experience Chinese architectural culture with private guide and flexible trip itineraries. Holiday China Tour operator offers you quality Huangshan tours, most popular private Huangshan tour packages to the historical and cultural sites and attracations in and around Huangshan. 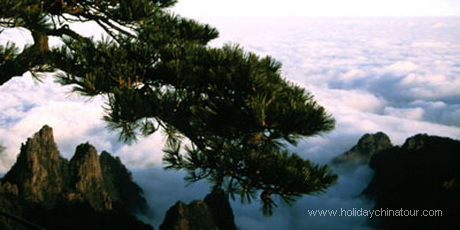 We can also customize your itinerary to see the most beautiful sights in and around Huangshan. Huangshan, literally "Yellow Mountain", is a mountain range in southern Anhui province in eastern China. Huangshan City has become a very famous tourist city in China that includes Yellow Mountain Scenic Area and many other scenic and historical attractions. 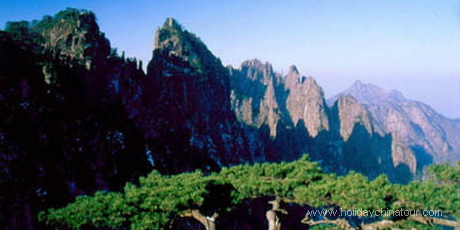 Huangshan is also must-see place of your wonderful China vacation. Our professional Huangshan photography tours operator will help you to plan China photography trip to Huangshan. 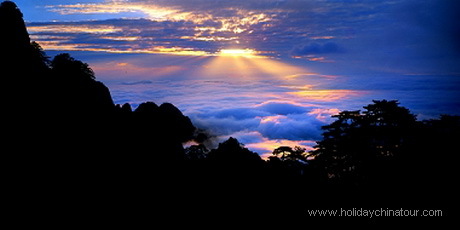 Your Huangshan photography tour will be an ununique experience to enjoy the amazing beauty of Yellow Mountain. 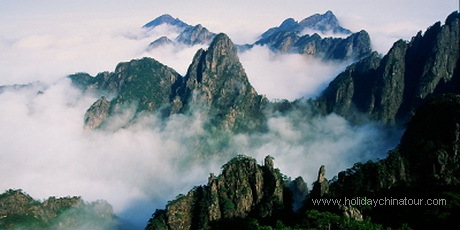 Don't hesitate to contact us and we can customize Huangshan photo tours to meet your needs. First of all, thank you very much for your very good servises during our trip to Shanghai, Hangzhou and Huangshan. We were very satisfied chossing your turistic firm. In general our entire China trip was well organized and very enjoyable, the time spent at each location was excellent. Our guides, David in Huangzhou and Lily in Huangshan were extremely knowledgeable and helpful and gave to us of their very best. Also, our guide in Shanghai spoke very good English. Our guides and drivers were courteous and helpful. We will use your services again for your next China tirp and definitely recommend you to our friends! Regards!